Valentine’s Day is right around the corner, and while most ladies will love some mouthwatering chocolate, crafting something by hand for your special someone or a close friend is one way to show that you truly care. 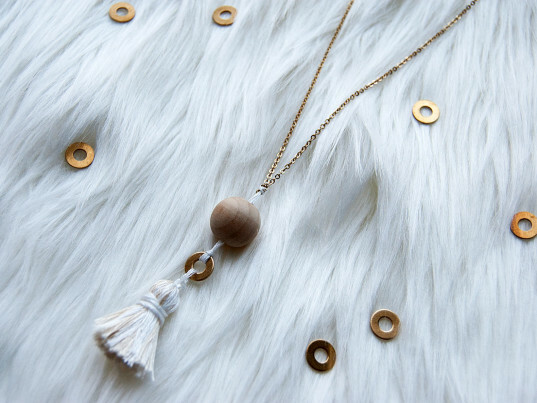 Here’s one super-easy gift that still packs a punch without paining our planet: a handmade tassel necklace created from upcycled yarn scraps. You can even reuse an old chain—hunt around your house for one, ask a friend, or buy one secondhand—to keep the project green. Here's how. Cut your scrap string to roughly the same length. 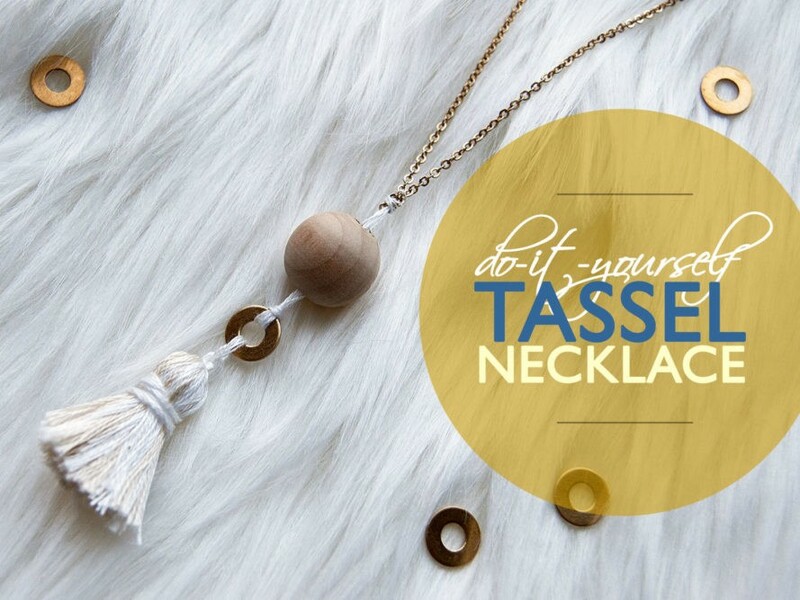 This length will vary depending on the size you want your tassel to be. 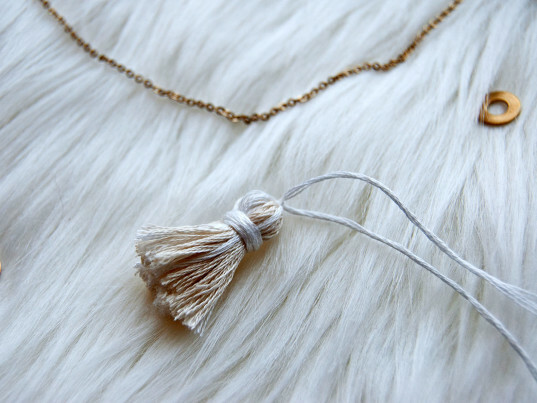 (Two inches is a good length for a tiny tassel.) 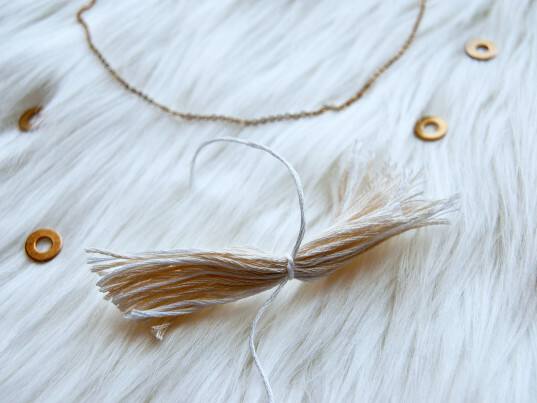 The number of pieces you use will affect how fluffy the tassel is, so play around with what you have to see what you like best by folding the bundle of strings in half and picturing the final product. Once you’ve figured out how much string you want to use and how long it should be, tie another piece of string in a double knot around the center of the bundle. This will be the portion that attaches to the rest of the necklace. Fold the strings in half around the knot you just made and tie a new piece of string in another double knot near the top. 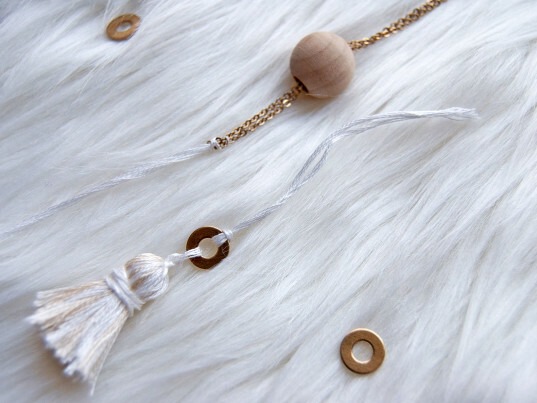 Wind the tails of this newly knotted piece around and around to hide your new knot. When you’re getting close to the end, thread these tails, one at a time, into an embroidery needle and pull through the wound pieces so they dangle with the rest of the tassel. 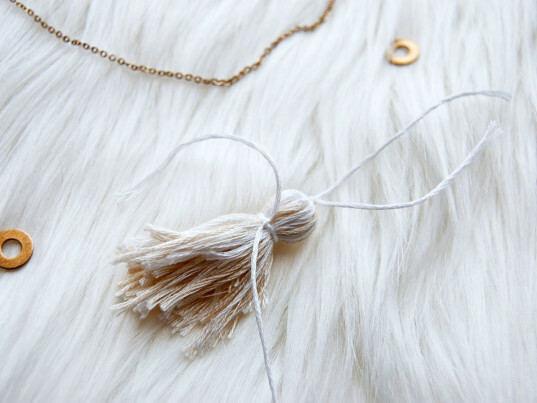 Trim the bottom tails of the tassel to the length you want and fluff up the top portion a little if you need to. Use the top strings to attach your tassel to a washer. Then thread these onto your embroidery needle and tuck into the tassel as you did before. Trim these strings to be even with the rest if necessary. Fold a new piece of string in half and send the loop part of it through the middle of your washer. Tuck the ends of the string through this loop to create a knot around the washer and pull tight. Make this same knot with another piece of string around the necklace chain exactly opposite its clasp, then slide a small bead up the string onto the necklace chain. Tie the two newest pieces of string together in a double knot so there’s about an inch between the top of the washer and the chain. Trim the ends of the strings that are hanging off of this knot. Slide the bead snuggly into place over the knot. If the bead is too loose, you can push it up the chain again and tie another knot in the same place to make it thicker so the bead isn’t sliding around too much. 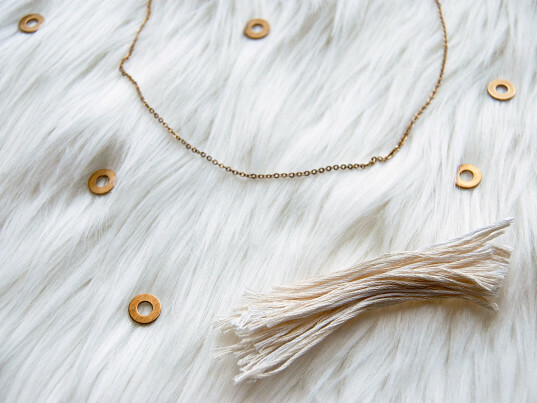 Once you have the basics down, try creating other necklaces of varying lengths and colors to layer together. This boho style looks even better when duplicated with slight variations, and since your supplies are probably all floating around the house already, you won’t make a lot of new waste to create the finished product.